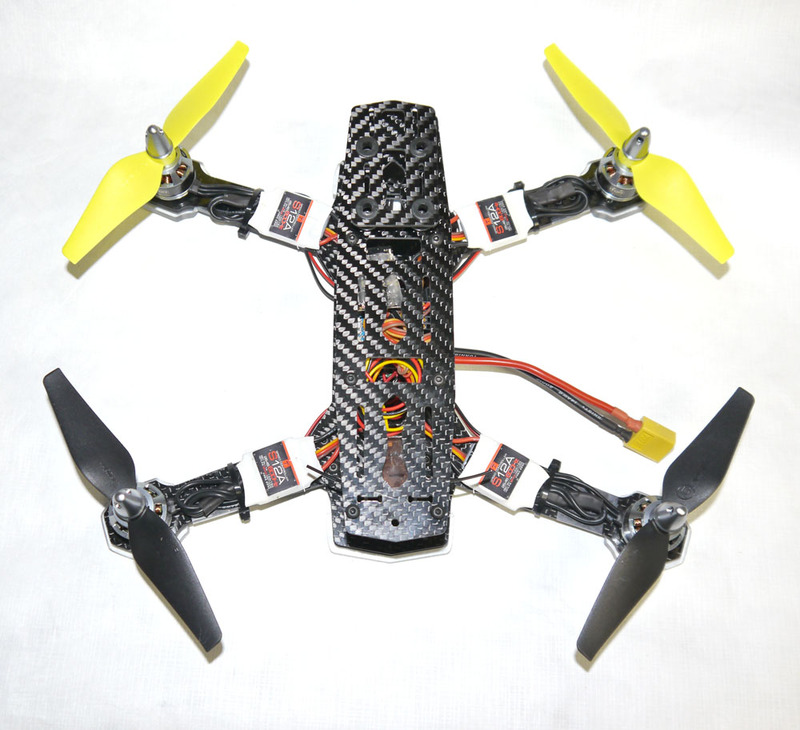 This quad comes custom built almost ready to fly. If you add up the cost of all the components you will see we are building it for free. 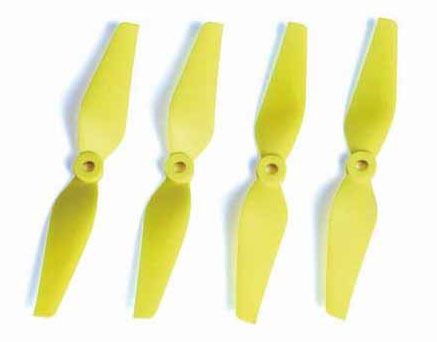 Just add your own RX and bind to your TX and you are ready to fly. Add an optional Lemon PPM RX from the dropdown box and we will install it free. Motor mount Holes are for M2 screws like the 1806 series motors use. If using 2200 series motors the motor mounting holes will have to be drilled out. 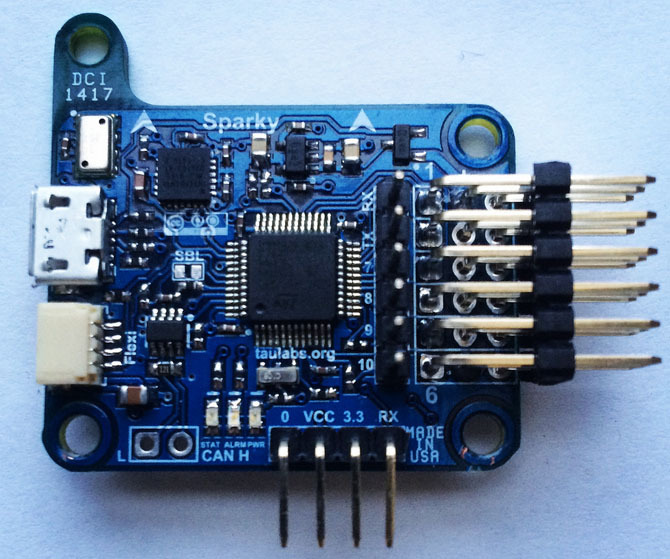 Dragon Circuits would like to introduce the highly anticipated Sparky flight controller. 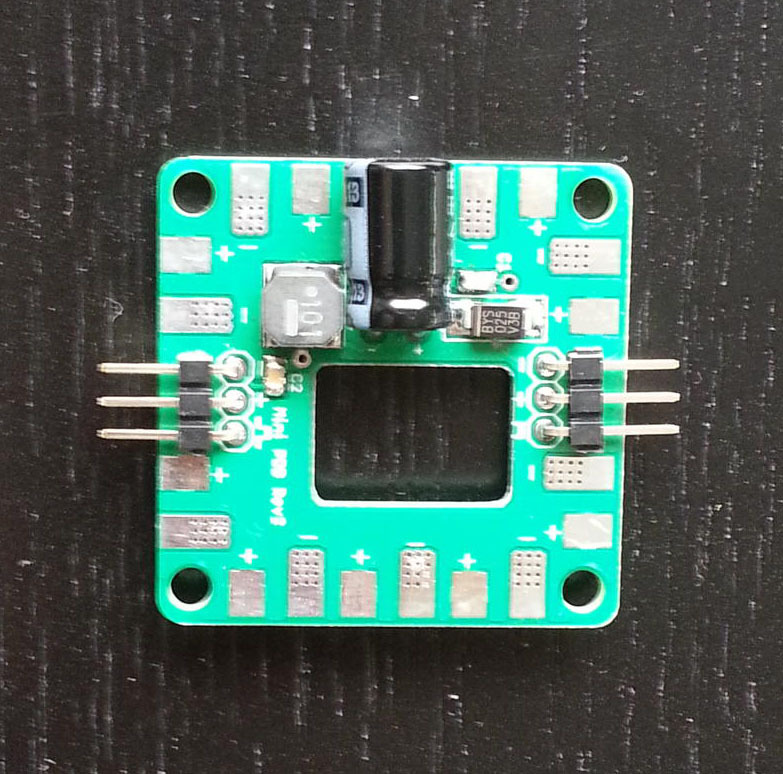 We have taken this amazing flight controller designed by Peabody124 for Tau Labs and built it here in the USA using the same stringent inspection and manufacturing methods used for our aerospace and military customers. All the sensors in Sparky are genuine, no cloned sensors here. 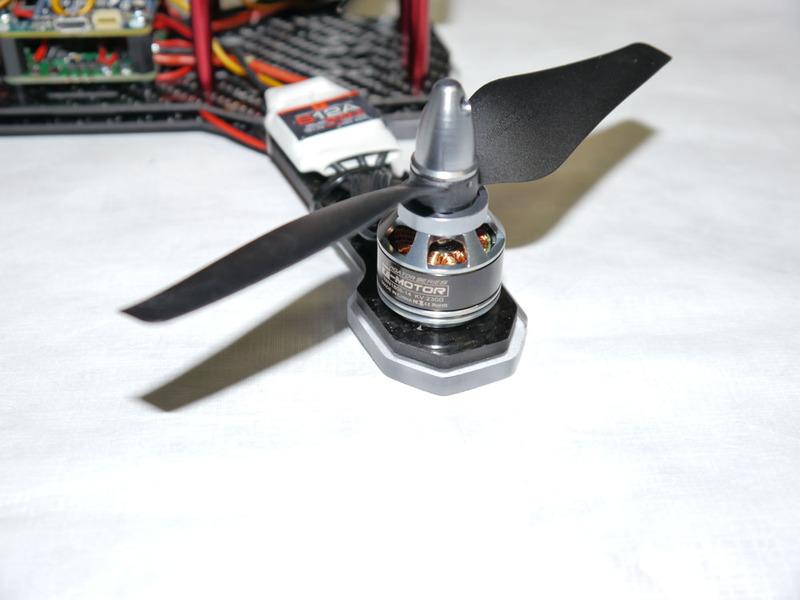 These two factors together equal the highest quality flight controller on the market today. 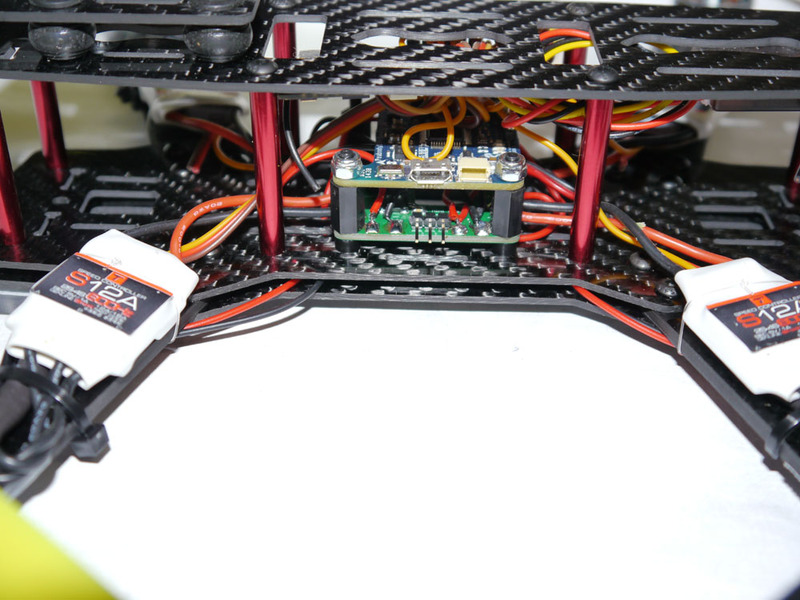 GPS capable for functions such as RTH (Return To Home), Position Hold and Waypoint navigation in conjunction with a ground station. Mavlink compatible for the use of telemetry radios for use with a ground station to provide location information and waypoint navigation. 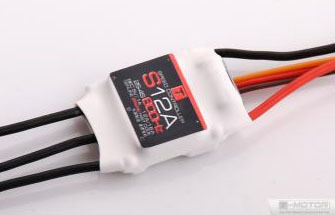 PPM only – SBus Support and DSM2/x support with user selectable 3.3v or 5v setting. 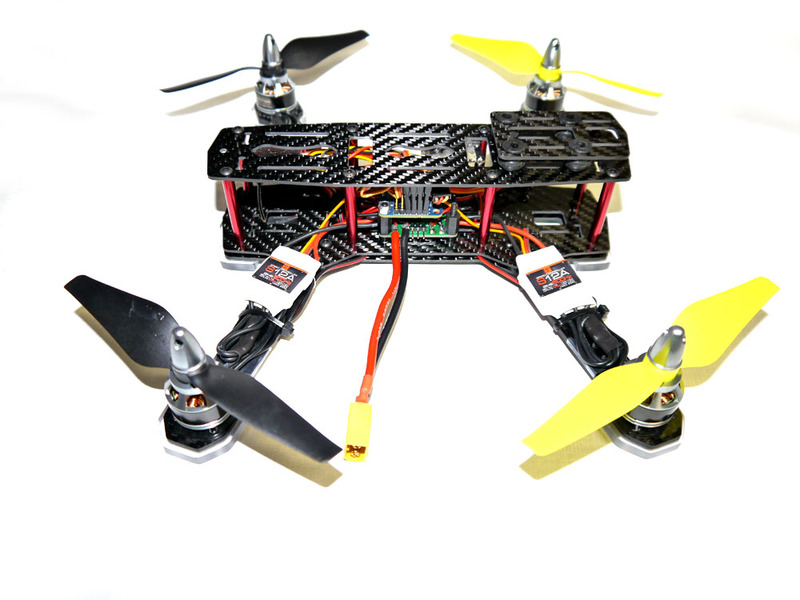 Very compact design, perfect for small UAV’s where space is limited. Also excellent in larger machines as well. Available with 90 degree header pins and straight header pins for easy installation no matter what your frame requires. Choose matching colors for your equipment. Red, Black, Blue, White, Green and Yellow. delivered in pairs (R and L).